The annual TOCFL, Test of Chinese as a Foreign Language is open for application now till 20th April 2019. The test is on Sat 8th June from 1100-1300 at Greystones Educate Together National School, Blacklion, Greystones. The fee is 20 Euro for CCCC and 25 for TOCFL. We are delighted that our 4th #Taiwanese Cuisine Cookery Demo and Tasting has been booked out within a few days! We are very excited to welcome Mr. Kun-Tzu Chung 鐘坤賜, the gold medal winner of Taiwan Culinary Art Challenge 2018 to Dublin to show how its done. This wouldn't be possible without our generous sponsors and their support: Overseas Community Affairs Council, Taiwan and Taipei Representative Office in Ireland. We are excited to organising a team to take part at the St Patrick's day parade in Bray on Sun 17th March, 2019. The St Patrick’s Festival runs 5 days in the heart of Bray. Click here for more information about the festival. This event is proudly sponsored by Overseas Community Affair Council and Taipei Representative Office. We're proud to co-hosted this concert with Taiwan Ireland Association at the Chester Beatty Library @CBL_Dublin on Sat 23rd Feb. 2019 from 2-4pm. The concert was well attended and the video clip is available here. Photos are available here. We are very excited to be part of the #MTFest19 Mother Tongues Festival 2019! 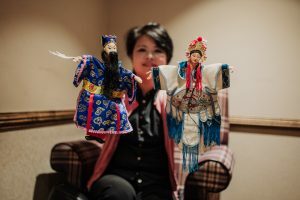 If you would like to sign up for the Chinese hand puppets show workshops. Click here to book your places. 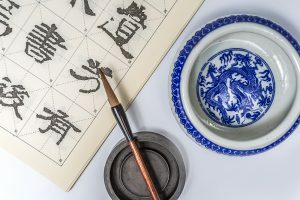 Our principal Evan will be demonstrating the art of calligraphy, will write your name in Chinese and be running a drop in experience session at the Mother Tongues Festival. Join Chinese teacher Evan Furlong and artist Heather Gray as they introduce the twelve animals of Chinese zodiac and describe how they were chosen and ranked. In Mandarin and English. For pre-school children and their parents or guardians. Free, no booking required. 你想知道十二生肖是怎麼來的嗎？歡迎來聽十二生肖的故事，玩遊戲和手作活動。二月二十三日星期六早上10:30在Dolphin's Barn Library, Parnell Road, Dublin 12. Dublin School of Mandarin Chinese is proud to be involved in the First Mother Tongues Conference on Heritage Language Education in Ireland which will be hold on Saturday 3rd November 2018 at Wood Quay Venue, Dublin City Council. 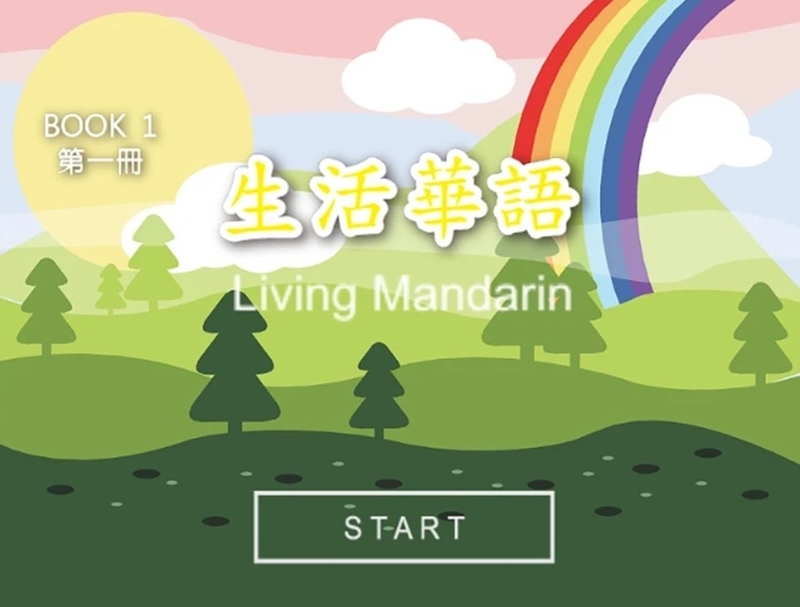 We have been using these wonderful text books #LivingMandarin published by skymandarin.org. The great news is that the learning app is available for book 1-3 now and free to download for the next few days! Don't miss out! Head over to the Event on our facebook pagehttps://www.facebook.com/DublinMandarinSchool/ to find out more about #MidAutumnFestival 2018. Dublin School of Mandarin Chinese is the official overseas agency for TOCFL test. The first test was scheduled on Sat 23rd June 2018. The 7th annual Dragon Boat Festival was hold on Sat 16th June at Comhaltas CeoltóIrí ÉIreann conjunction with Taiwan Ireland Association's Annual General Meeting. Our school host and sponsor this annual event for both of our school and Taiwanese community with support from Overseas Community Affairs Council (OCAC), Taiwan, Taipei Representative Office (TRO) and Taiwan Ireland Association (TIA). This is the third year our school is supporting and sponsoring the Taiwanese Cuisines Cookery Demos in Ireland. Here's the press release from the Taipei Representative Office for the event in 2017. Please visit our facebook page for further details. Dublin School of Mandarin Chinese is delighted to sponsor the 2nd East Asia Film Festival Ireland 2018 at IFI. in Taiwan. This is a free event and click here for registration and here for more details. We are delighted to be the sponsor of the very first Mother Tongues Festival in Ireland. Chinese papercutting workshop. Click here to find out more about the workshop on Sat 24th Feb. 2018. We are proud to be the sponsor of the very first Chinese Language Film Festival in Ireland. Press release from the Taipei Representative Office.